2 Beds 3 Baths 1 Partial Bath 1,350 Sq. ft. 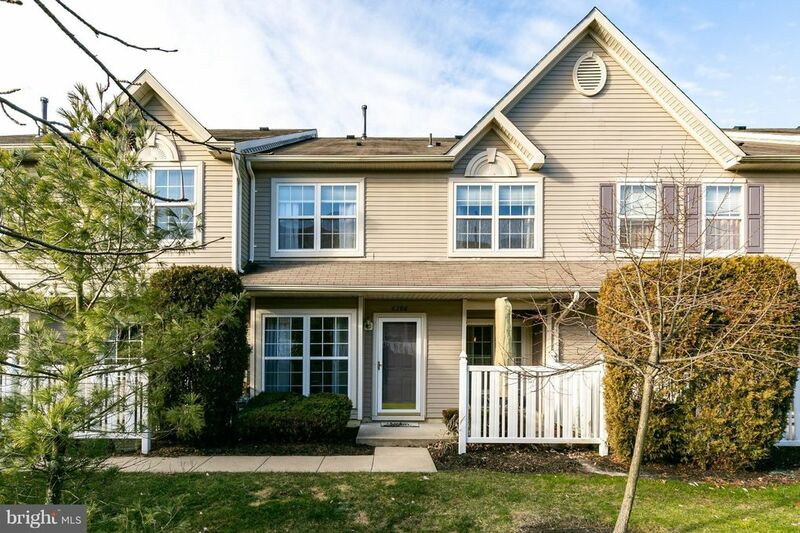 If it's chic you seek, look no further that this stylishly updated 2 bedroom, 2 1/2 bath, two story home in Essex Place. The spacious living room has been recently updated with trendy laminate floors, and provides you with plenty of space for entertaining friends and family. Tasteful choices were made when renovating the kitchen, starting with the dark espresso, Shaker-style cabinets that contrast perfectly with the Quartz counters. Stainless steel appliances include a gas range and over-the-counter microwave. The breakfast bar is the ideal spot to enjoy your morning meal or late night snack. You can never have too much counter space in a kitchen. Formal meals can be enjoyed in the dining room with sliding doors leading to the front patio. Upstairs you will find the nice sized master bedroom with an updated private master bath. In addition, there is a second bedroom, newer bathroom and convenient laundry. Both bedrooms offer neutral carpet and ceiling fans. Essex Place is located near shopping and restaurants, as well as major highways. Come make this house your home.